There will no doubt be a few diversions in Glasgow during the Commonwealth Games and with 1 month to go (#1mtg in twitter speak) the city dwellers will be ready to adapt to changes to the normal routines and routes.The quid pro quo is that they and their beloved city are part of one of the great sporting spectacles of the world. OK, so it’s a slow start to my latest blog. A bit of a traffic jam on the keyboard or grid lock of the brain. I think a bit more information followed by my mitigation may be required to excuse the mind dimming beginning. As one of the Commonwealth Games #Team14 bloggers, I have been asked to show my creative streak and highlight the fact that in a month the games will begin and the diverse clash of nations that is the Commonwealth begin to descend on our largest city. The creativity that was requested? Be creative with the word DIVERSE, and here’s my mitigating circumstances on my lack of creativity – it’s been lovely outside since the email dropped into my inbox! So blooming lovely that I even had shorts on and burned my knees, a true Scot. I really did try and concentrate and be a star blogger and create a new piece of shining brilliance. So what did I try and fail to come up with as my creative juices evaporated in the sunshine? Next up was my attempt at diverse thinking, a bit of left field thinking. Seamless, isn’t it? Pointless and useless perhaps, but not seamless and certainly not creative but whilst I was lost in this type of nonsense a kernel of an idea was growing and ready to burst and pop! 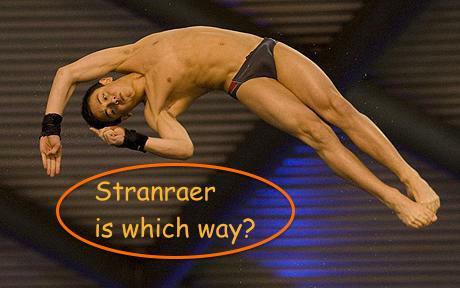 How about a photo of Tom Daley diving into Dumfries and Galloway? What do you mean you don’t get it! Surely it’s obvious. Tom Daley – the diver, with me so far? He’s diving into D&G the south east of Scotland, oh come on, I’ll spell it out DIVER SE, see diverse! The spelling put me onto a new, more musical track. You may have noticed that Dolly Parton was in town this week and one of her songs was D.I.V.O.R.C.E. and it was a short leap to re-writing the lyrics to be D.I.V.E.R.S.E. All this cheese got me thinking about food and that is when a real opportunity rose from the obfuscation and prevarication that exists on my less than task driven brain. Haggis – a sheep&apos;s stomach stuffed with offal, suet, onions and oatmeal. Bean Crock – a mixture of beans such as haricots and butter beans and meat left on the bone, Pig trotters. Calentita – a baked bread-like dish made with chickpea flour, water, olive oil, salt and pepper. Souvla – large pieces of meat cooked on a long skewer over a charcoal barbecue. Poutine – a dish of French fries, fresh cheese curds, and sometimes additional ingredients, covered with brown gravy or sauce. Butter tart- The tart consists of butter, sugar, syrup, and egg filled into a flaky pastry and baked until the filling is semi-solid with a crunchy top. 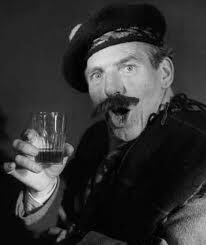 Of course you would finish off with a dram of whisky and toast the good health of our new friends from around the globe and smile a thousand words with our eyes as we laugh at the fact that it’s the diverse nature of the commonwealth that binds us together.